Here are some photos from the Halloween event at Port Below!! This year my costume was inspired by the Disney animated movie, The Little Mermaid. I was, of course, the main character, Ariel, complete with a snarfblatt!🧜 . OLIOSETA Life & Noble is now available in 100ml bottles and is also alcohol- and paraben-free!! For the past five years, I’ve posted about my childhood Halloween costumes. Here is a picture from when I was in second grade. I chose to be a cute, pink(!) rabbit, but my brother chose to be scary Count Dracula!🧛 Of course, we went trick-or-treating right after the picture was taken!! 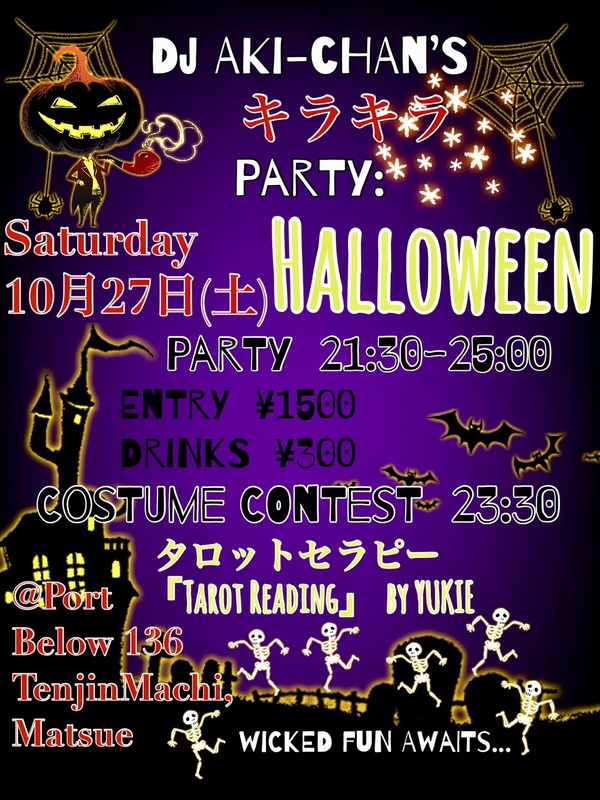 As in previous years, Port Below is hosting a Halloween event. This year, the event is on Saturday, the 27th of October at 9:30pm!! October’s book is about my home state, Oregon. Since my parents will be visiting Matsue from Oregon later this month, I thought it is the perfect time to share this book. 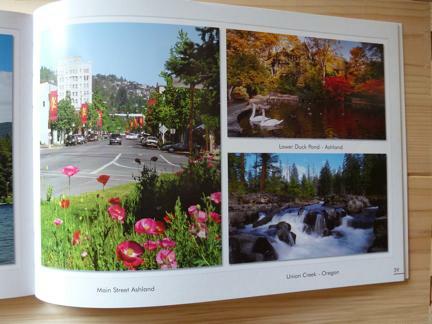 This month’s book features lovely photographs from all over Oregon. Like Shimane-Ken, Oregon is famous for its beautiful natural scenery and wildlife. Even my small hometown, Ashland, is featured in the book💜. Ashland is very famous for its Shakespeare Festival and Lithia Park. Please enjoy looking at October’s book while having your hair colored or permed! We will be closed from Monday, November 5th to Thursday, November 8th, for a Fall holiday. Regular hours will resume on Friday, November 9th. Last Monday, I attended a Tanabata Matsuri (festival) for the first time. The festival is held in Daitō, a district in Unnan city, every August 6th. Of course, I enjoyed wearing yukata👘! Although Tanabata is officially observed on the 7th of July, Tanabata festivals are held throughout Japan in July or August. You can read more about Tanabata and its history, here. In Daitō, each neighborhood makes a float, and these, along with lanterns and bamboo branches decorated with ornaments and wishes, are paraded down a street lined with summer festival booths to the sound of traditional drums, flutes and cymbals. There was also a stage for live performances, and to top off the night, a fireworks display over the river! It was truly spectacular, and I look forward to attending next year! 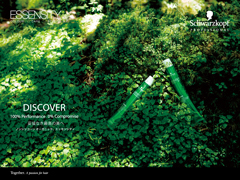 You can read more information and see photos of the 1092(!!!) World Heritage Sites, listed by country, here. Please enjoy looking at August’s books while having your hair colored or permed!